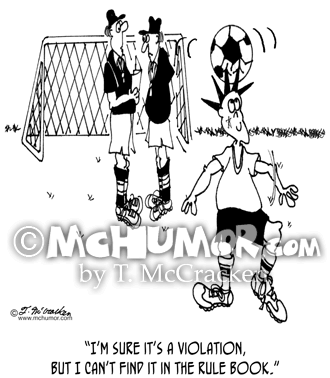 Soccer Cartoon 4501: A referee says of spiked haired soccer player with a ball stuck on his head, "I'm sure it's a violation, but I can't find it in the rule book." 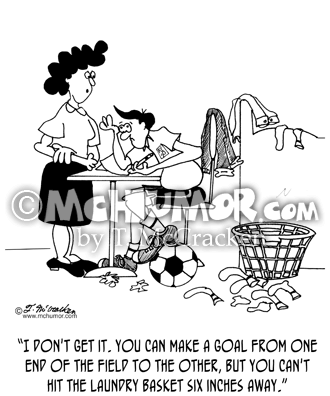 Soccer Cartoon 4308: A mom says to her son whose dirty laundry is on the floor while he plays with a soccer ball, "I don't get it. 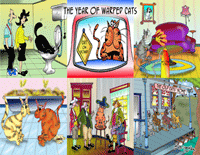 You can make a goal from one end of the field to the other, but you can't hit the laundry basket six inches away." 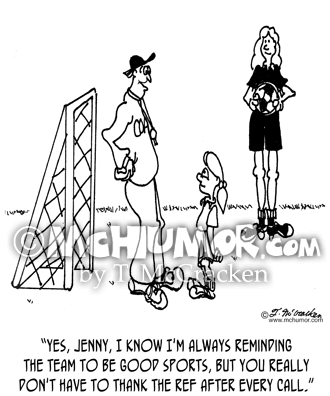 Soccer Cartoon 4570: A soccer coach says to a player, "Yes, Jenny, I know I'm always reminding the team to be good sports, but you really don't have to thank the ref after every call." 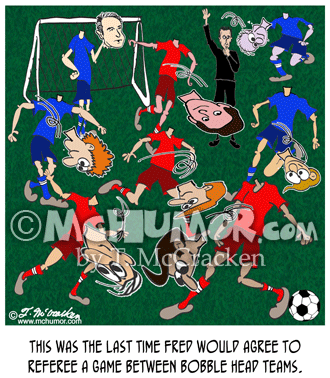 Soccer Cartoon 8822: "This was the last time Fred would agree to referee a game between Bobble Head Teams." All the soccer players heads are bouncing around the field. 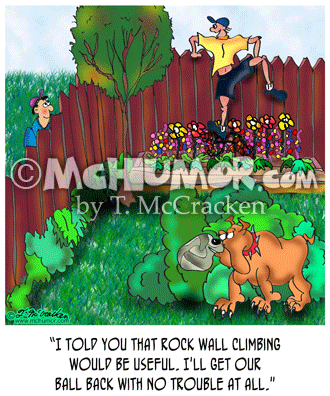 Dog Cartoon 8944: A kid climbing over a fence who doesn't see a fierce dog has punctured a ball says, "I told you that rock wall climbing would be useful. 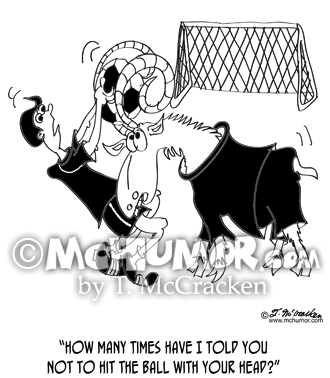 I'll get our ball back with no trouble at all."